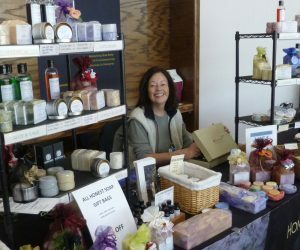 While enjoying early retirement in the high mountains of Colorado, owner and Chief Soap Genius, Miriam learned to capture the scents of nature – the pure air, the clear water, the wild flowers in the spring. 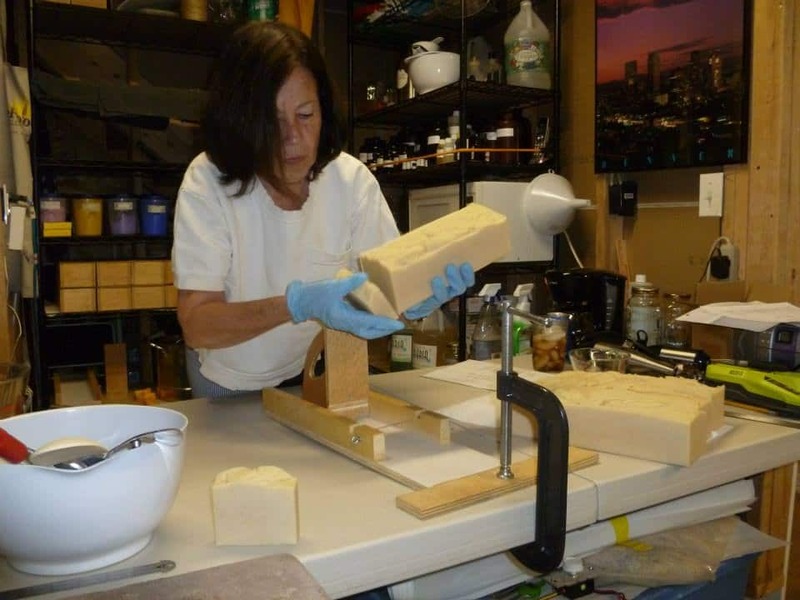 She formulates each small batch entirely by hand. 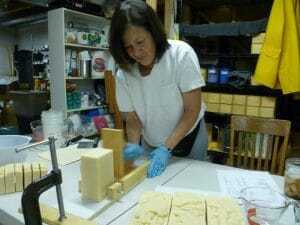 Soap has become her passion, and an outlet for her creativity. Her attention to detail is invested into every batch and bar. The scent of her soap lingers on your skin after a relaxing warm bath. Miriam uses a “cold-process” for making her handcrafted soap – the old-fashioned way! It is a blend of nourishing vegetable oils such as olive, coconut, or almond; pure essential oils distilled directly from botanicals such as lavender, patchouli, or lemongrass, etc., and natural enhancements such as Shea butter and finely-ground oatmeal. In concert, all these ingredients moisturize and exfoliate the skin in an all-inclusive bar. There will never be a trace of detergents or petroleum-derived oils in any of our soap products! July 9, 2013. For supporting the Brighton, Colorado non-profit community through “ongoing generosity, time and support”, the Brighton Chamber of Commerce awarded Honest Soap Co. its LOCAL HERO AWARD at a breakfast held at the Heritage Todd Creek Country Club. 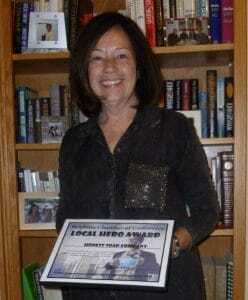 Miriam was excited and grateful for this kind acknowledgement. 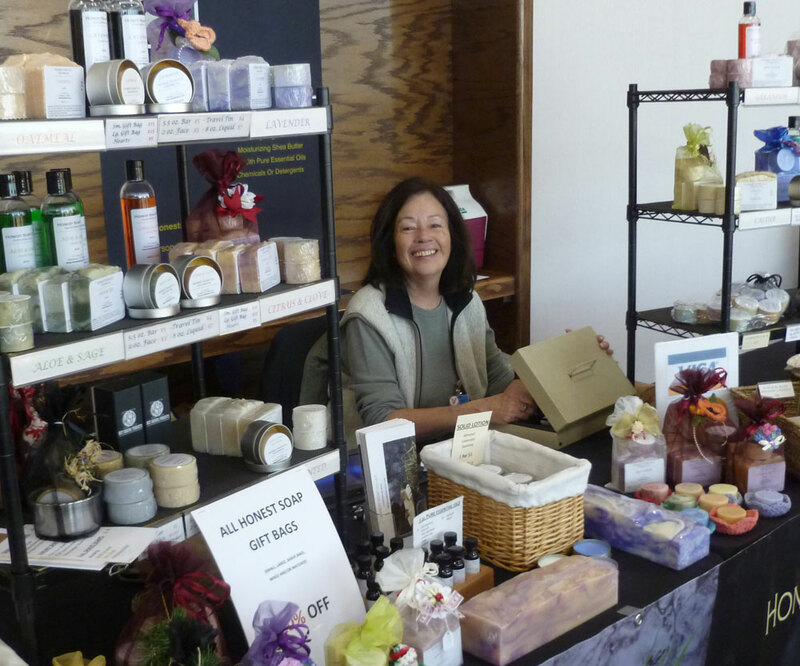 Miriam surrounded by her handmade natural soaps at a fair held at the Denver Federal Center in Lakewood.